‘It’s a New Year. New Beginnings & New Resolutions are being planned all around & so did we on your behalf! Looking back over the last year, there were many ideas that were implemented and many raring to be an integral part of Orangescrum. And what better way to begin Orangescrum 2017 than sharing the roadmap with you, so that you can be our “rudder AND anchor” while we try to make Orangescrum a Simpler, Easier & THE most Efficient Project Management & Collaboration tool. After the launch of the mobile app (iOS & Android) for the community users, it is now the most desired wish of our Cloud users. We intend to bring it to your devices in February. Also a major updated version for community users will be rolled out in a week’s time. 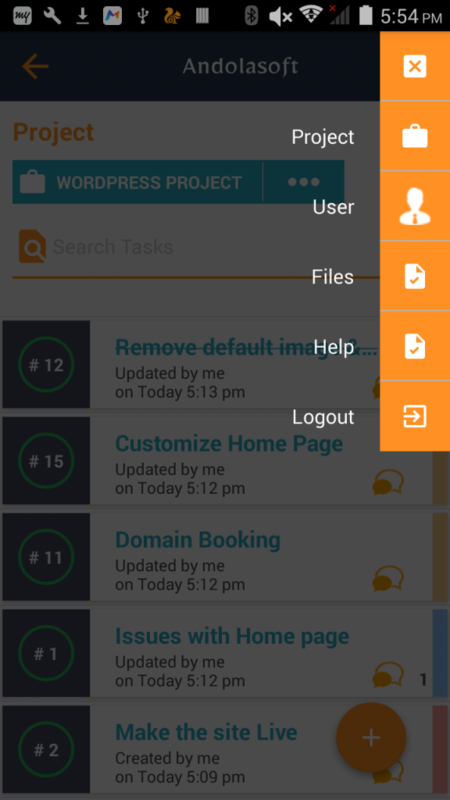 This will let you to manage projects, attachments & users along with existing task management features. 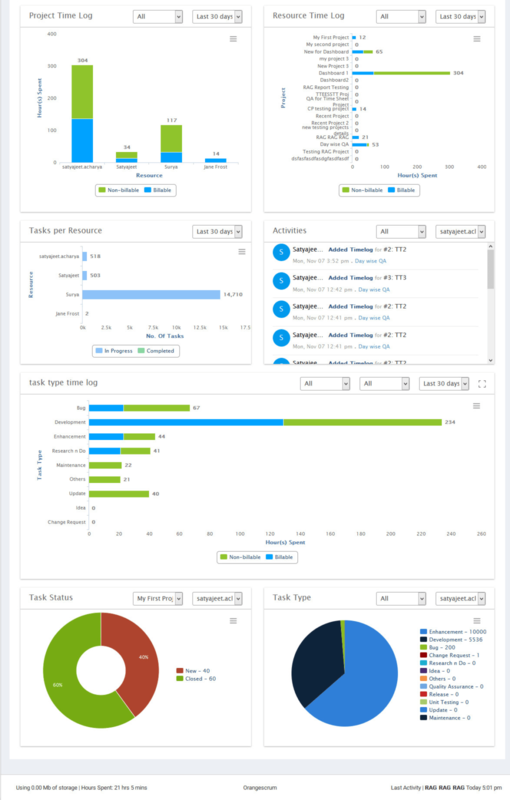 This is an improved, informative & analytical dashboard for Execs and Senior Mgmt. that provide real time progress on projects, costs, time, resource utilization and overall operational statistics at the organizational level. This will automate your invoice management. 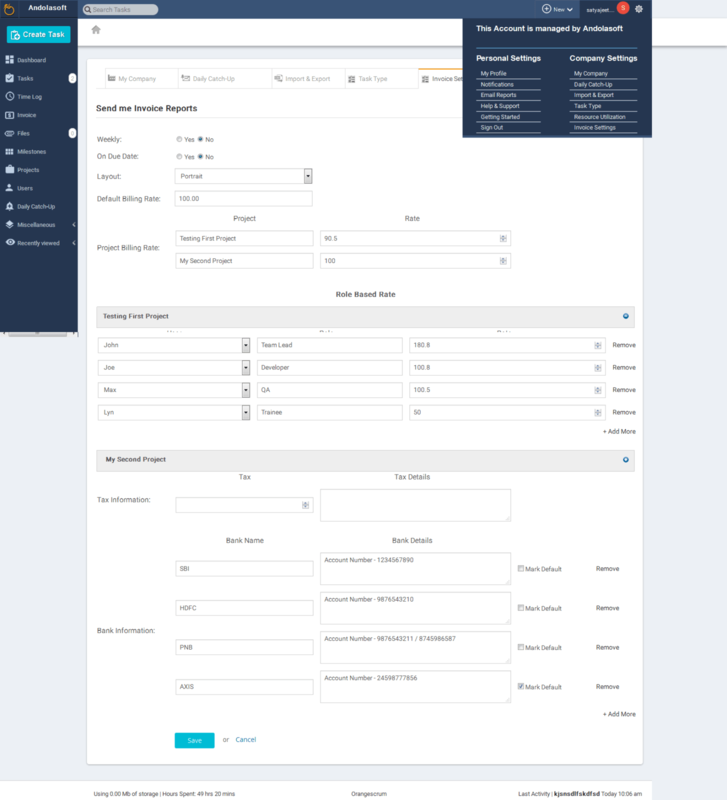 With this add-on you can define role based hourly rate, custom rates for task types for different projects, auto & recurring invoices to clients. Both Executive Dashboard & Invoice Pro add-on will be launched for Open Source users first & then it will also be available to cloud users. We’re also adding estimated hours & spent hours in the Kanban view in the Task & Milestone page. A new & enhanced User Interface will also be launched sooner. Stay tuned! Every company, especially Managers needs it. Currently we have Resource Availability & Resource Utilization reports. With the updated one, you can also manage the leave planning of resources & resource availability hourly wise as well. I know you badly need this feature for yourselves. Even we’re eager to launch this feature. You can create custom user roles & define accesses to a resource/user as per your requirements. Now we have Projects, Milestones (Task Groups for our Cloud users) and Tasks. 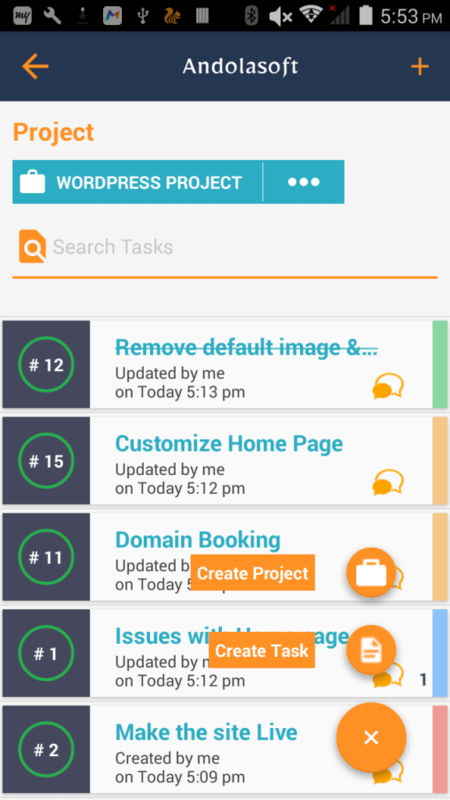 With the Sub Task feature you’ll have another level of tasks for management of granular activities on your projects. We’re exploring options as many users already requested to integrate few apps with Orangescrum. We’ll start with Google Calendar, Outlook, Zapier and Hubstaff. This is an important feature for ALL, small to large enterprises. Everyone needs to keep the project costs within their time & budget. This feature will address it for you. More real time data, reports & analytics for projects will be released. 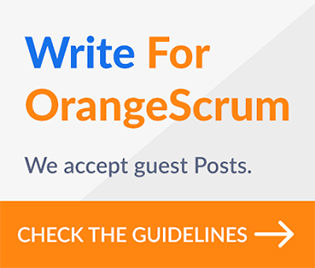 Do you have a wish for Orangescrum in 2017? Feel free to send them in and be a part of an eventful journey!